Please plan to attend the 2017 KCA Annual Banquet Sunday, January 21, 2018 at 5:30 p.m.. The event will be held at Maceli’s, 1031 New Hampshire, Lawrence KS. 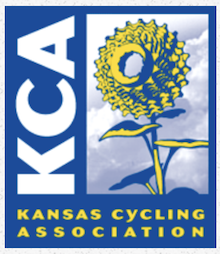 Our Annual Banquet is a great opportunity to socialize with our racing community, celebrate the 2017 racing season and learn more about the KCA. The evening will include a cash bar opening at 5:30 pm, pasta bar served at 6:00 pm and recognition of KBAR/T, KBCXR/T, and Keen Cup Wealth winners. The pasta bar includes linguine, penne, chicken tenders, Italian meatballs, alfredo and marinara sauces, Ceaser, salad, bread sticks and dessert. Cost is $20 per person age 18 to adult and $8.00 per person under 18 and free if three and younger. KBAR and KBCXR first place winners receive a dinner compliments of the KCA.